Below is a press release from the Acquisitions Directorate (CG-9). Test flights on the HC-144B Minotaur prototype aircraft began in March. U.S. Coast Guard photo. The Coast Guard’s HC-144 Ocean Sentry medium range surveillance (MRS) aircraft program reached two milestones last quarter. First, the HC-144 program received design approval and commenced Ocean Sentry Refresh (OSR) modifications at the Aviation Logistics Center in Elizabeth City, North Carolina. Second, the program completed the Minotaur mission system suite prototype integration efforts and began test flights at Naval Air Station Patuxent River, Maryland. The OSR project upgrades the HC-144As with a new Flight Management System, which manages communication control, navigation and equipment monitoring. Upon completion of OSR upgrades, each aircraft is redesignated as an HC-144B. The Coast Guard’s Aircraft Configuration Control Board approved the HC-144B configuration and certified OSR upgrades as airworthy March 15. To date, two HC-144B aircraft have been produced: CGNR 2307, the prototype, and CGNR 2306, which validated and verified the changes. Work to convert CGNR 2307 into the HC-144B Minotaur prototype began in July 2016, with integration and installation completed in January 2017. 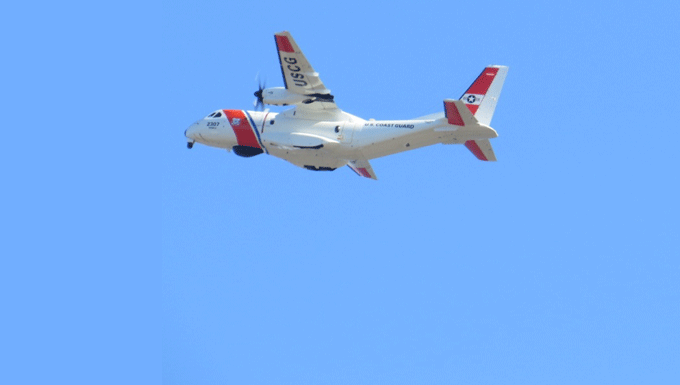 Coast Guard aircrews, along with Navy and industry personnel, began conducting test flights in March. Minotaur is mission system software architecture used across multiple Defense and Homeland Security department platforms. CGNR 2307 is scheduled for delivery this summer and is planned to enter service later this year. This entry was posted in Uncategorized and tagged Aircraft by Chuck Hill. Bookmark the permalink.